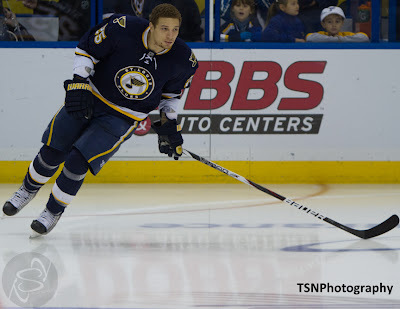 Chris Stewart of the St. Louis Blues has not had a good season this year. He played well after being acquired this time last year, but has struggled this season. The Blues have several quality prospects coming up in Vladimir Tarasenko, Jaden Schwartz, and Evgeny Grachev who will challenge for a roster spot. They will need to compete for top six positions with T.J. Oshie, Patrick Berglund, David Backes, Matt D’Agostini, David Perron, Alex Steen, and Andy McDonald who are all under contract or set to become RFA’s. Jason Arnott and Jamie Langenbrunner are heading into UFA status and may or may not return. Either way the Blues have a glut of forwards. There are three defensemen about to become UFA’s, Carlo Colaiacovo, Barret Jackman, and Kent Huskins. There are no prospects in the Blues organization to be excited about to replace any departing defenders. 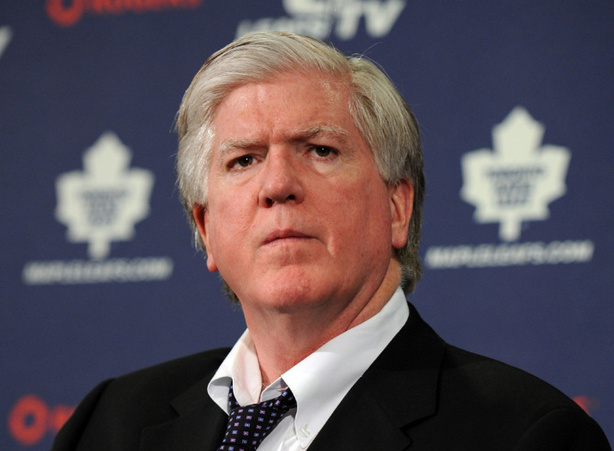 Enter Brian Burke who has nine NHL quality defensemen and several quality defense prospects. Another angle to consider is Burke is very familiar with Andy McDonald who is out with a concussion. Burke took on Matt Lombardi who was concussed at the time in order to acquire Cody Franson. If the Blues who are having ownership uncertainty are looking to purge the McDonald contract that has one more year remaining at $4.7 million, Burke may look to exploit that. There are many players Toronto could offer to acquire Stewart, and possibly McDonald such as Luke Schenn, Cody Franson, Mike Komisarek, Carl Gunnarsson, Korbinian Holzer, and Keith Aulie. Stewart Toronto native and would bring the size and offensive skill Burke is seeking. Burke is fond of uniting brothers, who knows perhaps he then goes after Anthony Stewart from Carolina. 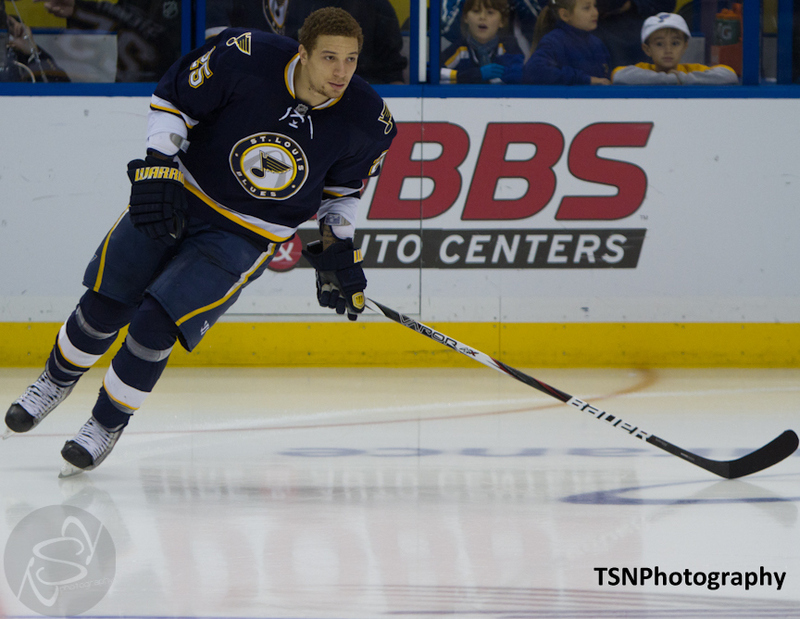 Evander Kane has been receiving heavy criticism in Winnipeg this season from fans. Rumors of him skipping out on dinner tabs at local restaurants, that the concussion he suffered was the result of a bar fight, not a hockey injury are fueling such criticism. Kane was also rumored to be unhappy and requested a trade, and he has been benched at times by head coach Claude Noel. All rumors and may not be true, but when there is smoke…The Jets are thin on defense prospects and also have three players heading to UFA status in July with Johnny Oduya, Randy Jones, and Mark Flood. As of now, the Jets are on the bubble of a playoff race and may be buyers, or sellers come the deadline. Either direction the team decides to go, trading problem child Kane for help on defense may fit into their plans. Former GM of Atlanta Rick Dudley is now a member of the Leafs management team and is very familiar with Kane. If Kane is available, no doubt Dudley would be consulted on the possibility of the Leafs acquiring him. Brendan Morrow of the Dallas Stars has begun to surface in trade rumors. The Leafs have a good relationship with Stars GM Joe Nieuwendyk as he is a former member of the Leafs management team. If Morrow is available he would bring the playoff experience and leadership the Leafs are looking for. While Morrow does not bring the same level of offense that Stall or Getzlaf bring he is a leader and is physical. The price tag for Morrow would also be substantially smaller than Staal or Getzlaf. As a former member of the Leafs management team, Nieuwendyk would be very familiar with the young players in the Toronto Organization. Shane Doan of the phoenix Coyotes is in a similar situation as Morrow. Both teams are struggling to make the playoffs, but Doan is set to become a UFA. The ownership situation in Phoenix is an important piece of this puzzle. Would the team have the means to retain Doan, would Doan be interested to stay in Phoenix and continue to live with the uncertainty of the future there? As a pending UFA, Doan would command even less than Morrow in return. Another member of the Leafs management team is Cliff Fletcher who was the GM there in 2001. It is important to note that Doan has a no movement clause in his contract and has played his entire career with that organization. 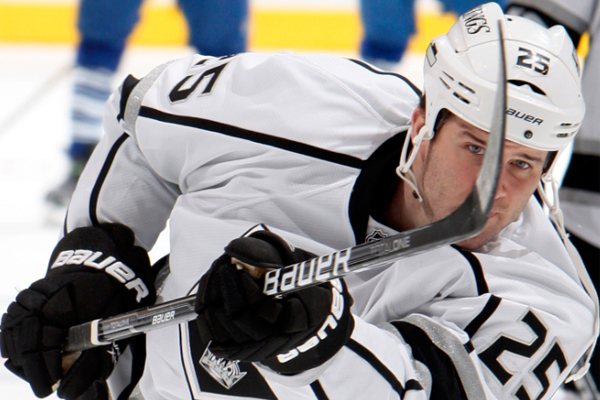 Dustin Penner has been a complete bust in Los Angeles. Brian Burke is very familiar with Penner from their time together in Anaheim, and may be willing to pick up Penner in a similar transaction to the Joffrey Lupul deal. Last season Burke allowed Anaheim to dump the Lupul contract on Toronto as long as it included Jake Gardiner. Going to Anaheim was Francois Beauchemin. At the time Lupul was under performing due to a series of injuries that prohibited him from working out in the off-season, or training camp, and cost him significant time at the beginning of the season. Penner will become a UFA this summer but if the Kings feel they need to purge his contract going into the deadline to load up for the playoffs, Burke may be the best suitor. As in the Lupul deal, where Burke was able to secure a quality prospect in Gardiner, there would need to be incentive for the Leafs to take Penner. Two potential sweeteners the Leafs would covet may be Derek Forbort, and Tyler Toffoli. The Kings are currently a playoff team and expectations are high for a deep post season. As such the Kings would be seeking some scoring depth on the wing where they are thin. Toronto has some expendable assets fitting this description but as seen in the Lombardi/Franson trade, and the Lupul/Gardiner trade, there was little going back. While I am not convinced Penner has the ability to play as well for Toronto as Lupul has the risk is marginal as he becomes a UFA this July. The real target in this deal would be the potential to acquire a prospect such as Forbort, or Toffoli. Will the Leafs make a deal between now and the deadline? Who knows, but it seems pretty clear they are trying their hardest. Will the Leafs hit the home run and acquire a Getzlaf, or a Stall? Who knows but they are swinging for the fences for sure. Chances are the deal the Leafs make (if any) will be one nobody has talked about. Posted by pharling at 1:22 p.m. Anonymous February 21, 2012 at 3:47 p.m.
None of these are remotely possible or even plausible. But thanks for trying.